You Need To Hear This! 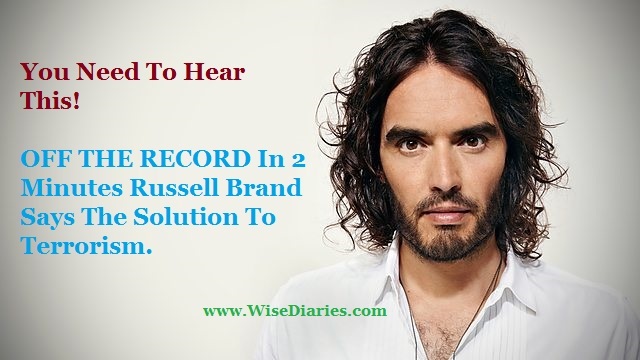 In 2 Minutes Russell Brand Says The Solution To Terrorism. This speech makes so much sense if we look at things realistically. Even the word itself says “the use of violence and intimidation in the pursuit of political aims.” The problem is ‘up’ there are the ones down are suffering its disturbance.